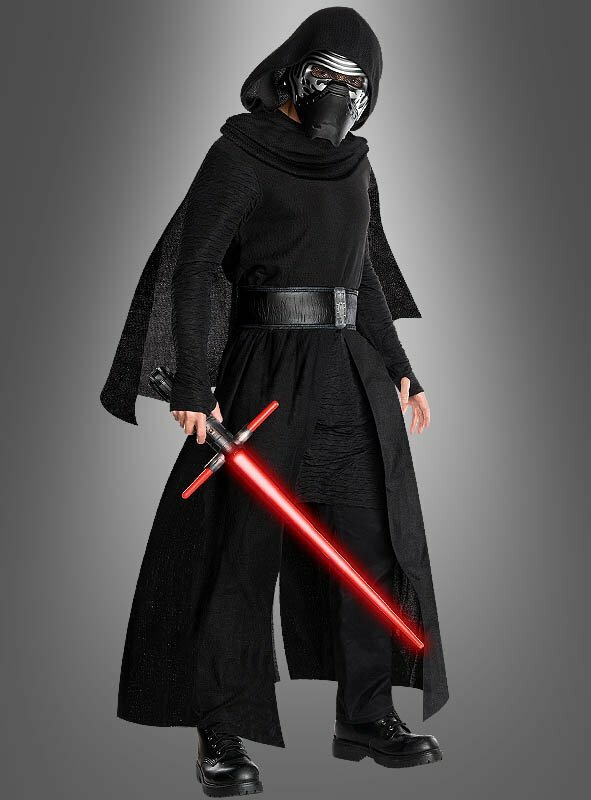 Super Deluxe Adult Star Wars Kylo Ren Costume includes Hooded cape, robe with attached apron, belt and half mask. High Quality Costume. 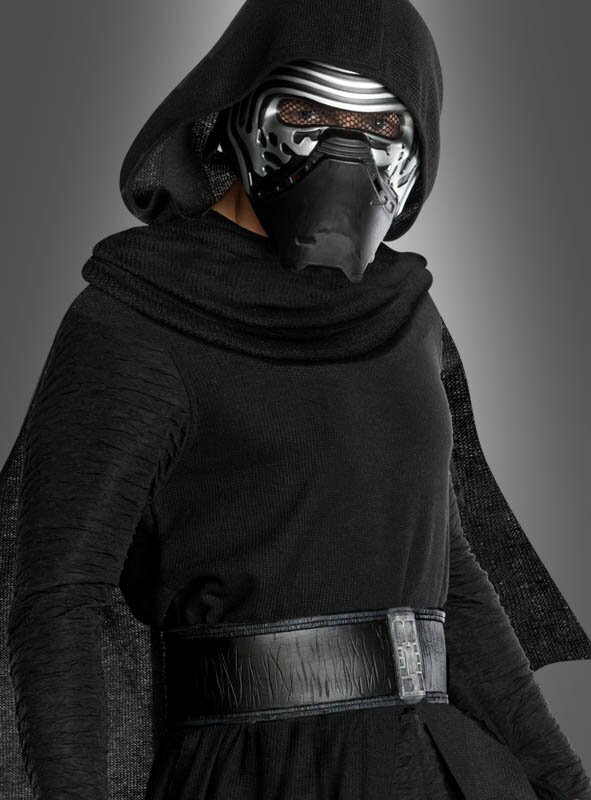 Original Lucasfilm Ltd. and Disney License Movie Costume out of Star Wars The Force Awakens. 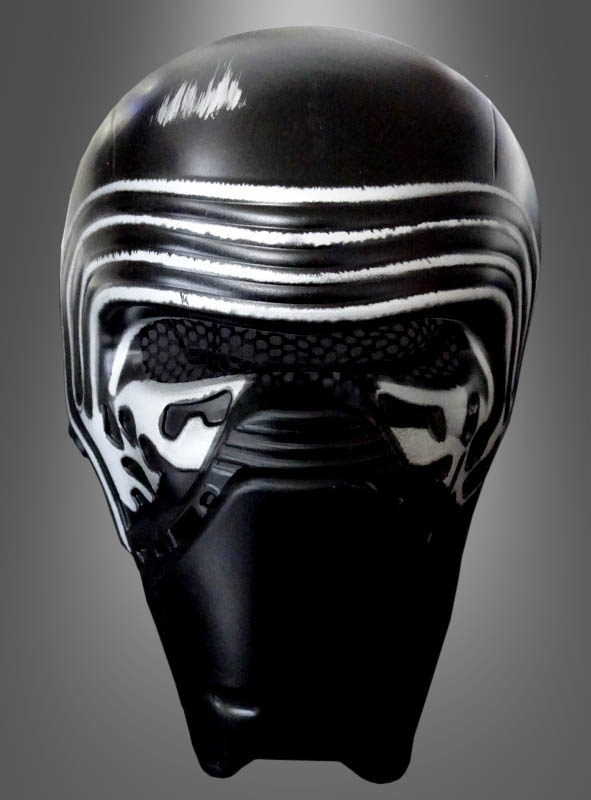 Lightsaber and Shoes not included. : Körpergröße min. 175 cm.